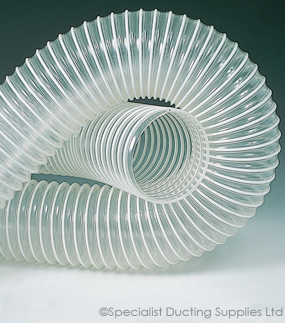 Polyester – Polyurethane with spring steel wire PVC coated helix. Suction and conveyance of abrasives materials, industrial vacuum cleaners, sweepers, lawn mowers. P1VPU AE – Resistant to hydrolysis and microbes.